Inspired by the sleek elegance of modern European design, the Trinsic Bath Collection completes the look of any contemporary bath, from classic to rustic. Delta pressure-balance valves use Monitor Technology to protect you and your family from sudden temperature changes. 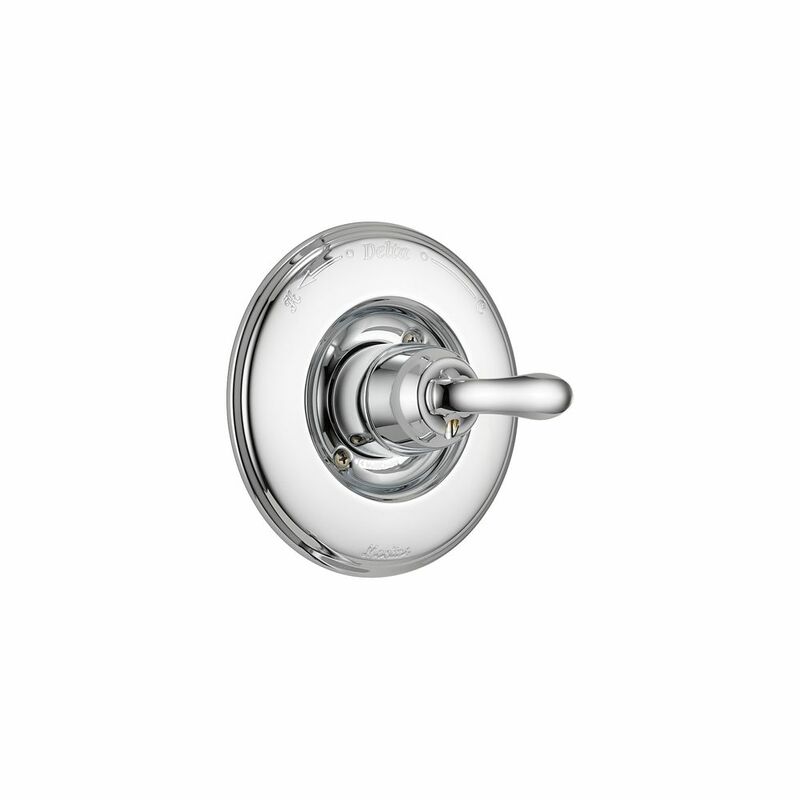 Complete shower kit in chrome finish, modern style, from the Rondo collection. This kit includes a volume control pressure balanced shower valve and a hand shower on sliding rail. The shower valve is made of solid brass. Linden Monitor 14 Series Valve Only, Chrome Delta<sup></sup>'s separate rough and trim program allows you to switch your trim without the hassle of changing your rough-in as well. Another great benefit is the ability to have your plumber install the rough-in before you've decided on the trim you want. By installing the rough-in first, you can later decide what type of trim will go perfectly in your bath. Linden Monitor 14 Series Valve Only, Chrome is rated 3.5 out of 5 by 4. Rated 4 out of 5 by Dawn from We were updating an old Delta handle. Was easy to... We were updating an old Delta handle. Was easy to install. Had to get a longer trim sleeve since we were not replacing the value that came with unit. Works great. Rated 3 out of 5 by Jack from Trim Sleeve is too short. And Delta doesn't have... Trim Sleeve is too short. And Delta doesn't have long trim sleeve in champagne bronze finish. Rated 4 out of 5 by Trinitarian from My home is about 20 years old. We had a metal tub that had a rust spot when we bought the house ... My home is about 20 years old. We had a metal tub that had a rust spot when we bought the house ten years ago. Ten years later, it developed into a hole and caused water damage in the adjoining bedroom. Since we had to replace the tub we decided to upgrade the original Delta base plastic and chrome fixtures to metal Venetian Bronze finish fixtures from Delta (spout, shower head/wand & controller). It turns out that the existing valve was NOT compatible with this fixture (nor with the dual control fixture we ordered before and returned before getting this one). I tried my darnedest to get a Delta fixture that would work with the existing valve. This one did not. Rather than pay a plumber to replace the valve, we fortunately discovered that the old cartridge from the previous fixture was still in good shape and IT WAS compatible with the new fixture. I sure wish that Delta was much more helpful in helping me figure all this stuff out. They were not. I would have given this fixture five stars...except for all the hoops I had to jump through to figure out compatibilities. Yeesh! The sales clerk in store was not any more helpful except to suggest that if you have Delta installed you probably want to stay with Delta.